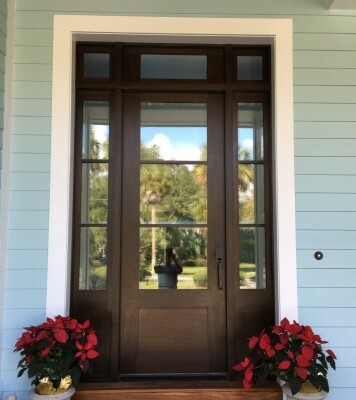 WoodDoorDirect.com is an entry and interior doors supplier and manufacturer based in Tampa, FL. We build one of a kind custom entry door, french door, interior door, iron door and custom entryways for residence and commercial project. 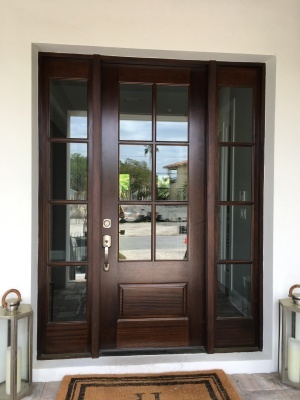 Wood Door Direct features the largest selection of doors design anywhere. Our designs run from traditional rustic to contemporary to classic elegance to Old World authenticity. 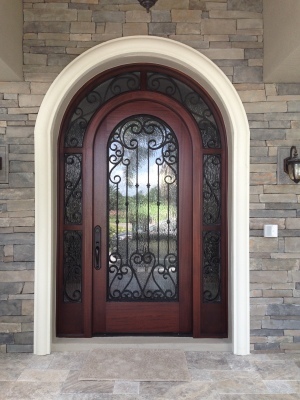 Our wide variety of unique wrought iron designs encased in wood doors provide a sense of regal styling. Additionally, we carry a very large selection of glass designs including Seedy, English Flemish, Rained, Hammered, Water-glass and many more. We're up to meeting any challenge! If our selection won't satisfy your particular taste, we will craft any door that you create. It's as simple as drawing a sketch on paper. Just leave it to our professionals and we'll transform your dream into reality. From concept to reality, we will incorporate your ideal with the latest technology and material to create the ultimate entryway for your dream home. Wood Door Direct will provide details CAD rendering from the inside out of your door to ensure the utmost accuracy design details of you door. We offer a stellar selection of premium grade hardwoods, such as Mahogany, Oak, Cherry, Walnut, Superior and Knotty alder just to mention a few. These premium hardwoods are as practical as they are beautiful and will withstand the tests of time and weather. Rich, beautiful tones exquisitely compliment the wood grain. Every Wood Door Direct door is carefully examined and selected by our expert artisans, then masterfully crafted to give the consumer years of pleasure and beauty. Visit our gallery for more design ideals. We start with kiln dried quality lumber and take it through the entire manufacturing process on an order basis to produce quality exterior and interior wood doors. Our sales representative and support staff are located right at our manufacturing plant. When you purchase our products from us, you have access to technical support from the people who design your door to the hands that fabricate its. All our stiles, rail and raised & shaker style panel are constructed and fabricated in our Tampa plant out of many different type of lumbers. We do not import any parts or finish products from any other manufacturer. We chose this method of construction to ensure quality and accuracy on all our products. All door components are carefully chosen according to their use, the tone of the wood is matched to attain a uniform result. Our doors are assembled with a cope and rail system; we use 1/2" x 4 1/2" dowels and marine grade glue to put the door together. To compliment your doors, we can provide additional decorative products such as custom design wrought iron grills, leaded beveled glass, clavos, strap hinges and carving. Currently, we also offer solid wood interior casing as well as exterior mouldings in various profiles and width. Our exclusive 12-step finishing process is like no other and is performed by experts in a controlled factory environment. This process employs quality stains with a comprehensive choice of colors, catalyzed sealers, sunscreens and coating for unmatched beauty. Then, fine hand sanding is completed in four different steps for a noticeably smooth finish. Finally, detailed hand-rubbing, which occurs after the last finish coat, adds a satin feel to the finish. This meticulous process attests to our artisans' commitment to the quality of every door.